This is a Favorites Series post by guest blogger Cleo Chalk. 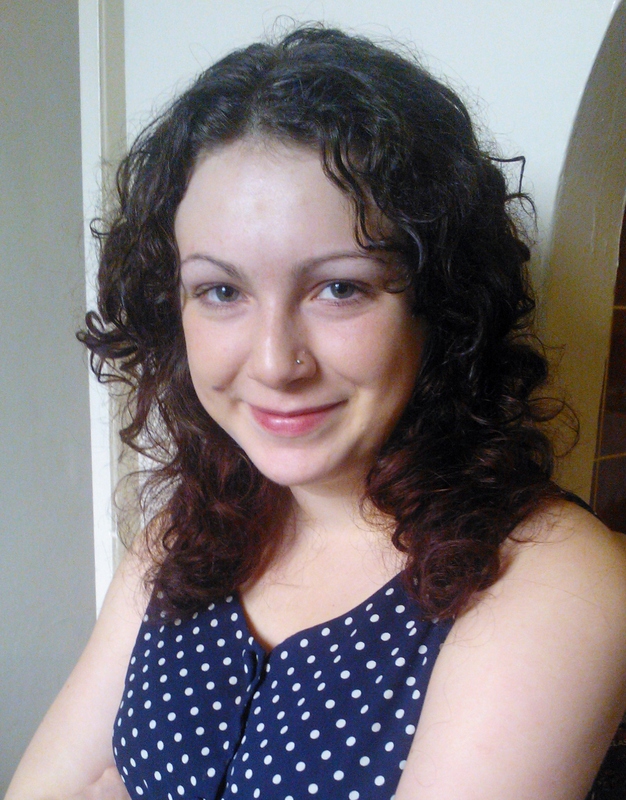 I’m Cleo, an undergraduate word nerd blogging book reviews and all things ‘book’ over at literary-lethargy.com. I’ll enjoy any book you stick in front of me, but my favourites are offbeat classics and modern dystopias. It may seem obvious, since I’m talking about Brave New World as my favourite book, but I’ll put it out there anyway: Aldous Huxley is my dystopia scribbling intellectual of choice. I have to confess a small crush on his bespectacled frown and furrowed brow, and I certainly prefer his scientific musings on where our species might be headed to the more politically charged efforts from the likes of Ayn Rand and Orwell – huge fan of 1984 though I am. Like 1984, and perhaps Lord of the Flies, Brave New World is a must read of the dystopian genre. These books are often held up as being at least as relevant today as they ever were, and battles rage between fans as they try to decide which novel describes our modern world most accurately. The sensible, non-hyperventilating fan in me can admit that any well written dystopia will have something important to say about the perils of human nature. Still, it’s easy to see how Huxley’s vision – of a world where people willingly sedate themselves and police each other via the shaming of nonconformists – can seem particularly penetrating in the era of Apple and The X Factor. The weight of Huxley’s imagined future rests on the scientific developments achieved in the world he’s envisioned. This is a world where bioengineering has advanced to a point that humans can be manufactured and educated en masse, erasing the perceived complications of class rivalries or the family unit. Chemically, we see the apparent wonder-drug ‘soma’ distributed among the population, offering “All the advantages of Christianity and alcohol; none of their defects.” Soma users can take a break from reality any time it begins to feel a burden; all they need is “half a gramme for a half-holiday, a gramme for a week-end, two grammes for a trip to the gorgeous East, three for a dark eternity on the moon…”. Is this starting to sound a little ominous to you? The erasure of unhappiness in the pursuit of a perfect society is not without sinister consequences, not least the sterilisation of human emotion. In every page of Brave New World that age old question lurks between the lines: at what cost? In his 1946 introduction to the novel Huxley describes his cracked paradise as the opportunity for “an insane life in utopia”. So no utopia after all. If all this mention of high-spec science is starting to put you off, never fear. 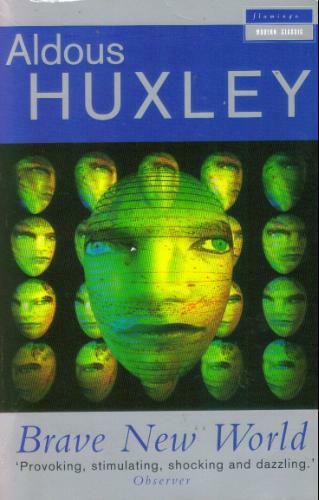 In his introduction Huxley also clarifies that “The theme of Brave New World is not the advancement of science as such; it is the advancement of science as it affects human individuals.” For me, it’s this theme of humanity which is pervasive, and the novel is far more of a musing on human nature than on technology. The choice that Huxley forces on his protagonist John Savage “between insanity on the one hand and lunacy on the other” throws up all kinds of questions: is it better to be wise and to suffer, or to be a ‘happy pig’? And what is happiness anyway? Some people may argue for the pleasure of the moment (something which the characters of Brave New World can find in abundance), but I expect a lot of the literary fans reading this would agree that the quest for knowledge and experience can also bring happiness. It may be the penetrating vision of our future which has landed Brave New World a place in our literary cannon, however it’s the richness of the language which ensures it’s there to stay. Whether you’re a fan of sci-fi, dystopias or absorbing literary fiction in general, this could well be the book for you. This entry was posted in Favorites Series and tagged Aldous Huxley, Book review, Books, Brave New World, Cleo Chalk, Favorites, Favorites Series, Guest blogger. Bookmark the permalink. Very nicely done review Cleo. I’ve bookmarked your blog. To the extent you like dystopian writings, have you read Zamyatin’s We or Karel Capek’s War With the Newts? As to the former, Ayn Rand’s Anthem is something of a poorly crafted version of Zamyatin’s novel. As to the latter, Capek, a Czech writing in the mid-1930s pretty much painted a grim picture of what actually followed. Both are good books and worth a look. Again, nice look at BNW. Thanks! I’ve been meaning to check out ‘We’for some time so I shall definitely give it a look. Thanks again. Rand associates individuality with reason and science; Zamyatin associates it with a revolt against reason and science. The glass house is the symbol of individualism in Rand’s book and of collectivism in Zamyatin’s book. They’re really doing quite different things.